My interest in art began in early childhood, and by the age of eight, I began painting. I have did part time Master of Arts in painting from Rabindra Bharti University, Kolkata, West Bengal and also from Pracheen Kala Kendra Chandigha. But in the field of photography I am a self taught Photographer. Other than theseCurrently I am doing MCA from Birla Institute of Technology Ext. Center Lalpur ,I did my schooling from Lala Lajpat Rai, Ranchi,. I have did BCA from Marwari College Ranchi. Throughout my career, I have participated as well as organized many Art Exhibitions. I have also won numerous awards and prizes in various art shows. I have also done many commissioned works both for individual collectors and institutions, including Birla Institute of Technology, Mesra, Birla Institute of Technology Lalpur, Lala Lajpat Rai school Ranchi, Marwari College Ranchi, Sir Sayed Sibte Raji Governor of Jharkhand, Mr. Inder Singh Namdhari (Speaker of Jharkhand)., 1st Law Minister of State of Jharkhand, India and many more private collection. As I am a computer science student and a art student, I have merged both the field and worked in the field of graphics, animation, Web Designing also. I have also worked for different companies like CCL, Ranchi, Mecon Ltd. NIFD , Ranchi. I was specializing in visualizing, 2-D modeling, graphics, painting, photography. I have good working command in Photoshop, Flash, CorelDraw, wed site designing. Computer are my Computer are my passion, I can't live without them. As being a computer science student, I have developed some software while my academic activities as a part of summer training or as a project for any competition. I have done my summer training at MECON where I have developed a "Blast Furnace Control Panel" using Visual Basic and Oracle. One more Software I did along with my friend i.e. "Certificate Reimbursement Tracker" for Accenture Design Challenge, which made us to the top seven finalists across the country. Sales Monitoring System in C is also one of my first projects which I have developed as my college project. Website always passionate me since I visited first website in my life. I always dreamt to make own site some day. So finally the come into my life and now I have developed many of the websites. Interesting thing about behind my website designing was that, the day which i have planned for my website that day i was nil in web designing the will power inside me which provoked me to go for it and atlast i achieved my goal. Click here to have a look on my works. As I have interest in the field of painting & photography, and being computer as my carrier I use to do graphics and multimedia works. I m a self taught graphics... I have done a lot of graphics and animation work. I use to do work in Flash, Photoshop, Corel, and illustrator. I have done different projects for different companies. I have designed logo for many firms and society, as well as many company presentations using Flash. Painting is my main hobby which I started doing from the age of 12 years. I use to do painting in different ways and mediums like water color, oil color, acrylic colors and mix media. My strong part in painting is water color in which I really love to work. I also use to take classes for painting for that I have started a art school named Kalakriti (School of Arts). I have also a deep interest in the field of photography; it's just a part of my hobby which allows me to capture some exciting moments. In this I generally love to shoot nature, wildlife, compositions. I have also organized many solo photography exhibitions. I have got a large collection of photographs with me which you could find at my photo gallery. The art of painting is a mysterious activity. That is why I believe there is nothing like modern art or Fine art, Indian art or western art - there is just art. An artist draws and paints for his own satisfaction. What he paints & how he paints is entirely a matter of his personal choice. It is often said that art is visual poetry, I think it's also music, where harmony, balance, rhythm are very important. Art comes from the heart. The biggest part of heART is ART. 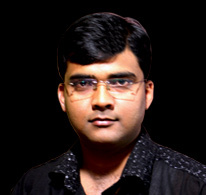 Creativity Personified, Brilliance Embodied - Mortals know him as Dhananjay. This masterpiece signifying the synergistic union of art and technology leaves no doubt about his multi-faceted, outstanding talents. But it is nothing as compared to his virtues as a human being, as a friend. A wonderful person, a REAL friend, always ready to stand by you under all circumstances, more than eager to help you, to share your happiness, achievements as well as deepest gloom, to lift your spirits, to inspire you, to motivate you.... and the list goes on and on. He still so modest, so down to earth, so friendly. I thank God that I have been blessed with him as a close friend.